Mr. Close has not decided what he will do with the pelt of the wolf, but says, that he has had several good offers for it form local and outside men, who would mount the outlaw. 4 Members of the Little Belt stockmen’s association will meet in a few days to examine the kill and consider payment of the reward. It is believed that a proviso in the minutes of a recent meeting of the association provides for the payment of the $300 reward upon sufficient proof that the wolf gill is actually the outlaw. 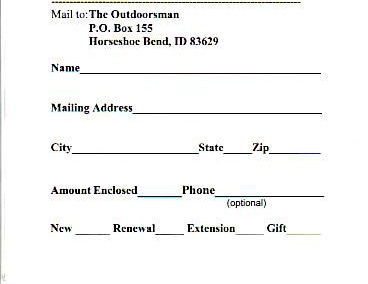 And additional $100 is said to be offered for a group of individual stockmen. It is my hope that by now readers might at least be scratching their heads and questioning their “normal” lifestyles and if nothing else have a grain of suspicion that maybe things aren’t quite as they appear. If it was only that simple. Who can seriously argue that the majority of people are environmentalists by definition. Most everybody wants clean air, non polluted water, as well as a sensible approach to protecting animals, plants, etc. However, the environmentalist movement isn’t about any of these things except for the brainwashed who have, without questioning, accepted new-science/new-education propaganda used to promote the conspiracy. The mind controlled believe they are doing good things and sometimes they do but fail miserably in lack of understanding as to what the bigger picture is. Many of us are willing to recognize events such as someone appearing on national television or in the media expressing concerns over a shortage of toilet paper, or sugar, rice, gasoline, etc. Most people see the result of what happens and often are willing to believe that it is a hoax to drive up prices for quick profits. Are you aware that the basic premise of these con jobs is rooted in fear and the media are simply “change agents” themselves? Recall again that in Part IV I spoke of new-science scientists being trained by the Science Policy Research Unit in “Future Shocks”. Delivering false statements to be distributed by the media of shortages, is a “Future Shock” tactic with the prime goal of creating fear. Fear in people leaves them open to mind control and brainwashing. Before I get into more specifics about the environmental movement, let’s try to gain a better understanding of its roots. According to Dr. John Coleman, Gifford Pinchot, the first head of the U.S. Forest Service and close friend of Teddy Roosevelt, coined or invented, if you will, the term “environmentalism”. It all went downhill from there. The founders of the modern day environmentalism just so happened to be the heirs to the great petroleum and pharmaceutical fortunes of the world, with the purpose of seriously stifling industrial growth in order that they have full control of any and all growth for their own fortunes. A once active and now defunct Center for the Study of Democratic Institutions, helped to define and set the stage of the environmental movement. One of the purposes of the CSDI was to rewrite the United States Constitution and in that rewrite to amend the Constitution to include a guarantee of environmental rights. I’m not sure exactly what that means, as is the case with just about all this social rewriting and brainwashing, but consider what could go wrong with such a constitutional amendment. Consider the mindset of those involved in this environmental movement, especially one U.S. Senator from Rhode Island, Claiborne Pell, who served six terms from 1961 to 1997. In addition to expressing his support for human population “culling”, Pell believed that NATO should be the enforcers of environmental standards worldwide. What could possibly go wrong with that? The real environmentalism uses tactics I’ve written about and others “to shape the moral, spiritual, cultural, political and economic decline of the United States of America.” These plans are carried out through organizations, i.e., non governmental agencies, non profits, institutions of education, think tanks, state and local governments, as well as our own Federal Government through their varied overreaching, rights trampling departments. When you see our very youngest of children attending school each day, where no time is spent teaching history, our heritage and everything that made America the greatest nation of earth, and they are being taught that the globe “has a fever”, that humans are evil, wasteful people, that animals have rights, that people shouldn’t eat meat, that “truth” about our environment is “inconvenient”, brainwashing is in full effect; Al Gore being a master at fear mongering for profit. The people say nothing. Why? Because, as I described in Part I and Part II, we are all products of the same brainwashing, having been made to accept the same crap being fed to our children. 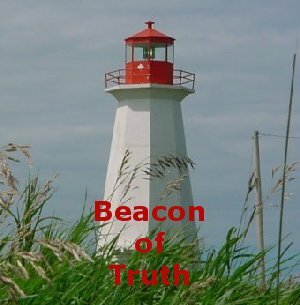 Many readers of this blog are quite familiar with groups such as Defenders of Wildlife, Humane Society of the United States, Audubon, Nature Conservancy, Center for Biological Diversity, Earth First!, National Wildlife Federation, Natural Resources Defense Council, Sierra Club, etc. This list of national organizations numbers in access of 100 and when you add in all the others, including those at the local level, we are bombarded with thousands of them; all trained by the trained, by the trained, etc. Chances are probably 100% that with each organization, if you did a biography on all the leaders and/or founders of these organizations, you will discover they are all “trained” by the same group of people that are products of Dr. Kurt Lewin’s mind altering “science” used to make mentally healthy people ill.
I’ve highlighted the keywords, that if you’ve been following along, should be ringing bells and blowing whistles in your mind. Doesn’t that paragraph just sound wonderful? I’m sure people like MSNBC’s Chris Matthews would say it sends shivers up and down his leg. However, consider honestly the keywords and ask yourself how, who and for what real purpose. We’ve covered some of “sustainability” but just what is it and at what expense is it achievable, as well as who decides what defines sustainability? Are you aware that often when “change agents” talk about a “sustainable society” that means killing off the “useless eaters” the non enlightened as well as killing off of let’s say about 5 billion people by the year 2050? And what is a “just” living? Is that determined by my standards and those I choose for my family? Or does someone I’ve never met and couldn’t care less about me, going to decide my education, my way of life, where I live, what I eat and where I die according to his/her standards? Are you a “useless eater”? How do you know? By the way, Second Nature does define “sustainability” – as determined by the United Nation. SURPRISE! I suggest you get to know your local, state and national brainwashers. And did I mention the founders of Second Nature? I wanted to point out Senator John Kerry and his wife, Teresa Heinz Kerry, as Mr. Kerry’s name will come up again as we continue to climb up the ladder in discovery of who’s behind it all. In addition, I highlighted “change in society”. This should trigger uncontrolled regurgitation. If it hasn’t you’re not getting it. If you will recall some of President Obama’s famous words during his first campaign heading into the 2008 election. I’ll paraphrase and say that he referred to the United States as one of the greatest nations on earth and then urged everybody to help him “change it”. Does that make sense to you? I hope not because if it troubles you, you might be starting to get it. This is the same as what I wrote about the North American Model of Wildlife Conservation being the best and we now see “change agents” looking to destroy it. Refresh your memory of that list of everything that made America great and people like Barack Obama and John Kerry want to change it. Why? More importantly, why do we let them? The very tiny number of organizations that I have brought to your attention, have the only purpose of brainwashing Americans. But there are hundreds perhaps thousands more that I haven’t even mentioned. In addition to the organizations themselves, consider the “trained” change agents by the hundreds of thousands that have taken over our society; the destruction, fear, chaos, anger, division, loss of morals they are responsible for and we let them do it. In Part VII, I will examine the Aspen Institute and link it further up the ladder to the Tavistock Institute and beyond. Some time ago, some good friends bought me a book for my birthday. The book is called, “Theodore Roosevelt on Hunting“. And shamefully I must say I am just getting around to reading it. As is the case most often, we as Americans tend to idolize past iconic figures. I suppose each of us has our own individual perspective on Theodore Roosevelt, but most of us are guilty of placing people like him on a level perhaps a bit above being a normal human being, capable of errors, poor decision making and having faults. When we take the time to read personal writings that include accounts of his life, it does offer us a chance to see someone in a different context than the one history has painted for us. Teddy Roosevelt was only human and as much as one might or might not enjoy his storytelling, it seems that he had some unusual views on others who told stories and what I would say was a near bizarre concept about the grizzly bear. Early on in his book, Roosevelt writes about hunting grizzly bears. He begins by recalling some of his own experiences with hunting the big bears; interesting enough. But then he gets into an odd sort of protective proclamation about grizzly bears and how they have been wrongly labeled as vicious by exaggerated storytelling but then uses his own storytelling (exaggerated?) to label the bears as vicious, still claiming them not to be. This is the only instance in which I have been regularly charged by a grisly. On the whole, the danger of hunting these great bears has been much exaggerated. I’m not sure I understand what he means by “regularly charged”. I’m still pondering that. But did it really teach the bear to run instead of charge or was this merely Roosevelt’s perspective of the temperament of a grizzly bear that, for whatever the reasons, he felt compelled to project? In his book, Roosevelt pretty much appoints himself as an expert on grizzly bear hunting and behavior while doing his very best to discredit anyone’s grizzly bear story that he might not agree with. Hence men of limited experience in this sport, generalizing from the actions of the two or three bears each has happened to see or kill, often reach diametrically opposite conclusions as to the fighting temper and capacity of the quarry. Even old hunters – who indeed, as a class, are very narrow-minded and opinionated – often generalize just as rashly as beginners. I wonder if, in Roosevelt’s elitist mind, obviously placing himself in a class of hunter above all others, he felt the same way toward those “narrow-minded old hunters”, when he became one? He obviously didn’t recognize himself to already be one. Not only, it appears, has Teddy Roosevelt appointed himself the lone grizzly bear hunting expert, he lays claim to be the only one qualified to tell a hunting story. In the thirty pages that Roosevelt appropriates for telling his grizzly bear hunting stories, ten of those pages he dedicates to ballooning his own self-importance with his self-proclaimed authority on grizzly bears and dumping on anyone else with a grizzly bear story to tell I assume because they were not as intelligent as he was. But oddly, which brought me to audible laughter while reading this chapter, Roosevelt takes 20 pages to retell all the grizzly bear stories he has heard and they are all about hunters being attacked by grizzly bears; some of those attacks being unprovoked. And if that isn’t enough, he also tells tales of humans not hunting and being attacked by grizzly bears unmolested. I guess whether a grizzly bear story is exaggerated or not or tells of grizzlies being vicious or not depends on who is spinning the yarn. I suppose how often people were attacked provoked or unprovoked back then was all relative and therefore, someone like Teddy Roosevelt could easily state that grizzly bears have no interest in attacking a human. He appears to have had some issues in dealing with “old hunters” and accepting stories or even companionship from some of the “outdoor men” of the time and region. Don’t take me wrong. There is much in what Roosevelt writes that comes directly from his own experiences of what bears do during certain circumstances. This information was useful then and probably would be useful today if there was any grizzly hunting in the U.S. I wouldn’t, however, be too quick to disregard the other tales from the rugged outdoorsmen of the day. As tall as some of those tales might be, there is always a certain degree of truth in all of them. I did find it interesting to discover this part of Roosevelt, what in my opinion appears to be a bit of haughtiness on his part – but wasn’t the bully Roosevelt a haughty person anyway? If you missed part one of “To Catch a Wolf” you can find that at this link. This link for Part III and Part IV and Part V.
As I mentioned in Part I of “To Catch a Wolf”, wolves are not easy game to hunt. As I surmised also, had Russia been interested enough or financially capable to employ a steady dose of decent wolf management, perhaps some of the tactics used by wolf hunters wouldn’t have become necessary. I’m referring to tactics that resulted in mass killings of wolves. Needless to say, some day into the future, I’m sure that one way or another, the United States is going to be faced with a dilemma on what to do about too many wolves. Initial plans are being made in some states (I mentioned Idaho in Part I) as to what rules will govern the wolf hunts if they are ever removed from protection. As in Idaho’s case, the rules essentially ban every means of hunting except for a man and his rifle. Historic documents tell us that this will not work. Initial wolf hunts may see some results but once the crafty canine discovers he is being hunted, one man and one rifle will not be any challenge to the wolf. Previously, we discovered that in Russia, the wealthy (barons) people undertook wolf hunts utilizing pigs in canvas bags as decoys. We also read in great detail how the barons teamed up with the peasants, who had crafted a great palisade (elaborate trap) in order to kill several wolves at one time. Let’s move our journey westward into France. In 1814 the state granted the Louvetiers permission to hunt wolves. Louvetiers were public officers appointed as superintendents in the “wolf districts”. Their job was to “encourage” the destruction of the wolf. Roderic O’Connor writes in “An Introduction to the Field Sports of France” that the most difficulty realized by wolf hunters was finding a way to get them out in the open so they could be killed. I should remind readers that in writings about wolves and wolf dogs of Teddy Roosevelt’s he says the only way to hunt wolves is with the use of hunting dogs. The wolf is one of the animals which can only be hunted successfully with dogs. Most dogs however do not take at all kindly to the pursuit. A wolf is a terrible fighter. He will decimate a pack of hounds by rabid snaps with his giant jaws while suffering little damage himself; nor are the ordinary big dogs, supposed to be fighting dogs, able to tackle him without special training. O’Connor says that the only way to get wolves out of the thickets is with a “powerful and well-appointed pack of hounds”. As a matter of fact, it is suggested that no fewer than 100 – 120 hunting hounds are necessary. Still the challenge is daunting. We learn that having 100-120 “powerful and well-appointed” hounds is rare and so other methods are employed. For instance, the hunters may gather as many hounds as they can get and head into the forest to find the wolves much in the same manner as is described above. The hunters set themselves up in ambush. They are obliged to observe the strictest silence, and to conceal themselves with the utmost caution, for the wolf, who is peculiarly quick sighted, proceeds with great circumspection, and carefully examines every object before him. If hunting dogs are not available and the louvetiers need to rid the community of the wolves, they commandeers as many “chasseurs” (chasers) as possible and head for the woods. When it is ascertained that a wolf is lurking in a particular locality, the louvetier of the district assembles as many chasseurs as possible, and, assuming the command of the party , proceeds to the cover, stations his chasseurs in the best positions he can select, and then enters the wood with a few beaters. As soon as the wolf perceives them advancing, he endeavours to steal off unobserved , finds all the passes guarded, and meets with a warm reception from his concealed enemies. They generally aim at his shoulder, but if there is any bungling, and he returns into the wood, it is quite hopeless to think of forcing him out a second time. It would be easier to hunt a rabbit out of an acre of furze, (which is no easy matter, I can assure you), than to compel him to break cover again : he must then be dealt with in some other manner , and the difficulty of getting at him, is considerably increased. As you can now well see, when wolves became a problem in certain communities, depending upon the urgency of the situation, depended somewhat on what methods were used to kill the wolf or wolves. When too many wolves became a real problem, serious tactics where used. This one is called the wolf battue. The most effectual method of destroying these detestable animals, when a neighbourhood is infested with them, is the general wolf battue: it is called traque in many parts of the country, from the word traqueur; the synonyme-of our word beater. This wolf battue- is conducted by the louvetier of the district, and is a very formidable and curious proceeding. He assembles several hundred persons armed with guns , staves , pitchforks, swords and all manner of destructive weapons; and, after disposing a long train of shooters and placing them so that nothing can escape without coming under their fire; he then forms his traqueurs into lines, placing them sufficiently near to each other to preclude the possibility of any wolves passing between them. When they are thus arranged, he gives the signal, and they immediately commence striking the trees and bushes with their sticks and pitchforks, firing oil guns and pistols, blowing horns , beating drums, and making all manner of hideous noises, advancing at the same time in a slow and regular manner, so that nothing can get through their line, and thus driving all before them. The wolves thus frightened by the din of war, lay aside their repugnance to the open country, and break cover in all directions. The slaughter then commences, and they are shot while endeavouring to make their escape. Not always are communities so overrun with wolves but make no mistake about it, wolves are always present and looking for a quick and easy meal – goat or sheep, poultry, pet or most anything that will stave of hunger. It was often left up to the individual farmer to devise ways to capture and/or kill problem wolves on his own. To watch a flock of sheep or protect the barn all night required a lot of man power and time, seriously putting a cramp on anyone’s lifestyle. The following ingenious description of an unattended live trap, I found quite fascinating. When wolves are not sufficiently numerous to demand such tumultuous proceedings; or when the forests are too extensive for the adoption of the battue system , various contrivances are set on foot to entrap them. Of these, the tour a loup which is considered very destructive, is worthy of notice: it is constructed as follows: some convenient spot is selected in the vicinity of a farm house, or in some locality where they are in the habit of committing nocturnal depredations: a circle is described, of from 8 to 10 feet in diameter; good strong stakes of, at least, 10 feet in length, are then procured; they are pointed at one end and driven firmly into the ground in the circumference of the circle, at a distance of 5 inches apart from each other, leaving one open space of 18 inches only for an entrance. A second circle is then described with the same centre, so that its circumference may lie within 16 inches of the outer circle. Similar stakes are then firmly driven down in the circumference of the inner circle, at a like distance from each other, and without leaving any aperture for an entrance: the circular path lying between the two rows of stakes is well trodden down to represent a beaten path: the door, which should be made of good strong timber, is then hung on easy iron hinges, and so contrived that when shut from the inside , it will remain fast, by means of a latch falling into its proper place. A goose, or a sheep, is then placed in the central space, from whence it cannot escape, and the door, (which opens inwards), is left open, and stops up the passage on one side. The wolf, attracted by the animal within, approaches with his usual caution : and, at length, seeing the door open, and the beaten path before him, enters. Once in, he cannot turn in the narrow path, and goes round until he comes behind the door which he pushes on and closes upon himself. Not only do we learn of the cleverness of the farmer or whoever it was that designed this trap, we also see things that give us hints as to the intelligence of the wolf being trapped. They had to actually make the ground between the two circles look like a well worn path otherwise the wolf might become too suspicious and not enter. The author also offers up an interesting observation, one of which I have never heard before this reading. When wolves once taste human flesh they become perfectly ferocious and will ever afterwards attack a man when they meet him alone. They pass by the flock and fly at the shepherd. I have read about quite a few wolf attacks on humans in several parts of the world and this is the first reference I can recall exclaiming that wolves like the taste of human flesh. As I pointed out at the conclusion of Part I, I am not advocating for people in America to take up their staves and pitchforks and become part of a wolf drive that will force wolves into an ambush with the intent of killing every wolf possible. The point I’m making is that it has always been a very difficult task for wolves and human to live together in peace and harmony. Historic documents from Russia, Italy, India, France, Scandinavia, America and Canada should tell us that a steady dose of good wolf management, which includes strict controls on populations will go a long way in avoiding what people had to go through years ago in order to protect their communities and personal property. The wolf is an intelligent and highly adaptable creature. When the time comes to hunt them, I’m afraid we will learn that setting a man with only his rifle afoot to catch a wolf will make for a tedious effort with little result. To be frank, there exists today very few people who have first hand knowledge on how to hunt a wolf. Wolf hunting many years ago became quite popular for a myriad of reasons, from the thrill of the adrenaline pumping danger to a matter of survival. Today in America we talk of when the day comes, if ever, that the wolf we be taken off the list of protected species and man will once again be able to hunt this animal. We, including myself, often speak of the “Disneyesque” perception people today have of the wolf. I think the same can be said, at least to some degree, about how sportsmen are going to “hunt” the wolf when the time comes. As a game management tool, specifically a population control measure, hunting has been a socially acceptable and scientifically viable means of accomplishing that task, however, I’m not so sure that we understand the difficulties we will be presented with in hunting this intelligent and highly adaptable beast. I have been spending a considerable amount of time lately reading many accounts of methods used to hunt and kill wolves. Some of those I have already shared with you and other I’ve not. In a multi-part series I would like to take a little time and share with you some of the ingenious methods and sometimes comical tactics (you have to have a sense of humor) employed by hunters and trappers over the years. In a book written by Will N. Graves, “Wolves in Russia: Anxiety Through the Ages“, the author shares with readers an entire chapter on successful and not so successful methods used in Russia for centuries to hunt and or capture wolves. In an article I wrote last month, I told of those methods and how they might compare to the rules the state of Idaho has laid out for wolf hunting as being effective. In short, Idaho will prohibit using any method to trap a wolf. There are restrictions on weapons that will be allowed, no electronic calls, no baiting and no use of hounds. In other words, it is man against beast. Teddy Roosevelt wrote quite extensively about his experiences with wolves in the U.S. during the late 1800s. He tells of the difficulties in being able to hunt the wolf. He also sheds light on the fact that the Indians and the old hunters bred dogs, often with wolves, in order to create a mean wolf fighting/hunting machine. The true way to kill wolves, however, is to hunt them with greyhounds on the great plains. Nothing more exciting than this sport can possibly be imagined. It is not always necessary that the greyhounds should be of absolutely pure blood. Prize-winning dogs of high pedigree often prove useless for the purposes. If by careful choice, however, a ranchman can get together a pack composed both of the smooth-haired greyhound and the rough-haired Scotch deer-hound, he can have excellent sport. The greyhounds sometimes do best if they have a slight cross of bulldog in their veins; but this is not necessary. If once a greyhound can be fairly entered to the sport and acquires confidence, then its wonderful agility, its sinewy strength and speed, and the terrible snap with which its jaws come together, render it a most formidable assailant. Nothing can possibly exceed the gallantry with which good greyhounds, when their blood is up, fling themselves on a wolf or any other foe. There does not exist, and there never has existed on the wide earth, a more perfect type of dauntless courage than such a hound. Not Cushing when he steered his little launch through the black night against the great ram Albemarle, not Custer dashing into the valley of the Rosebud to die with all his men, not Farragut himself lashed in the rigging of the Hartford as she forged past the forts to encounter her iron-clad foe, can stand as a more perfect type of dauntless valor. I have written more about Teddy Roosevelt’s experiences with wolves. You can follow this link to read. However, if you would like to read Roosevelt’s accounts in “Wolves and Wolf-Hounds“, this link will take you there. I will warn you though that some of his accounts of hunts with these dogs might be a bit gruesome, however factual. In Russia, as well as many other places in Europe, I am discovering, for centuries they have had to learn to deal with wolves. The peasants, or common folk, couldn’t hunt for wolves because either guns were prohibited or they couldn’t afford a gun or the ammunition to use in it. Centuries of wolf encounters gave the Russians ample time to devise ways of controlling the animal. I would like to point out however that even though I am going to share accounts of some of these methods, Russia for the most part did a lousy job of controlling wolves. In places there were too many causing the ungodly loss of life and property as historic documents now available from that country are more readily available, point out. “Sketches of Russian Life Before and During the Emancipation of the Serfs” By Henry Morley, gives us a couple accounts of how Russians dealt with wolves. Take note that in these writings, the “barons” end up utilizing the crafty ingenuity of the peasants in order to bag their “trophies”. The first method utilizes a pig as a decoy. What I have discovered is that this was common across much of Europe as well, as I will relate in later articles. In this case, the hunters took a pig and transported it in a “strong canvas sack” on a horse drawn sleigh. Two wolves emerged from the forest and after having both been killed by the hunters, the remainder of the entire pack – about 15 wolves – came out of the woods. Dragging the two dead wolves behind the sleigh and retrieving the pig and canvas bag, the hunters took off down the road luring the wolves behind. Much as one might suspect how the aerial shooting of wolves today is done, the horses, driver and hunters coordinated their efforts and managed kill a few more of the pack. As you can see in this case there were few restrictions placed on the hunters. But the ingenuity gets quite interesting. Being the idea of the sleigh driver, it is decided to send the hunters ahead to a filthy retreat of many crusty trappers, where a palisade has been built to trap wolves. The palisade is a construction of poles, staves and whatever of quite large size. If wolves, or any other animal for that matter, can be lured or tricked into entering the palisade, it is then trapped. The method is almost laughable. In a short time all was quiet and every necessary preparation made. Then came the howling of wolves and the screaming as of a pig (the driver of the sleigh, Mattvic, now riding the horse and being chased by wolves, is howling like a pig), the gallop of a horse over the hard crisp snow, the rush of many small feet. The outer door in the palisade was dashed open, and Mattvic, followed in half a minute by the whole pack, rushed in. The half-minute was just sufficient to enable Mattvic to vanish through the outer door into the trap. Then, as the last pressure on the door was removed, it closed with a loud sharp sound, and some five-and-twenty wolves were snared in a space not larger than twelve feet by twenty. We did not at first close the inner gateway, but, levelling our pieces at the mass of wolves now huddling themselves up in a corner, poured in two volleys in rapid succession, then closed the gate, and reloaded for another charge. The change from the air of ferocious savage daring which the wolves had displayed in pursuit of a single horseman, to abject terror when they found themselves caught in the narrow trap, was instantaneous. They were like sheep in a pen, crushing up in a corner, riding on the top of one another, lying down on their bellies, crouching and shivering with fear. It is not necessary to describe the scene of mere slaughter. Two staves were chopped out of the gateway, that -we might fire through. The drop-panels were opened, and two or three were admitted at a time to the next division; there dogs were let in on them through the adjoining trap, or they were killed by men with great hars of wood or axes; and at length, when only six or seven remained, three of the men went in amongst them, and with perfect safety despatched them. They say that a worm will turn on the heel that treads on it, but wolves caught in a trap like this, from which there is no escape, have less courage than a worm. They crouch, shiver, and die, as I saw, without one effort at self-defence or one snap of retaliation. I am not suggesting in this article or any of the others that will follow, that I am advocating for this kind of wolf slaughter in Idaho or any other state that may in the future hunt wolves. But please don’t miss the point that I’m trying to make. We don’t know how to hunt wolves. Even the experiences Americans have had in dealing with wolves dates back several decades now and it seems the only talk of these wolves involves only the fact that the wolf was driven to near extinction for several reasons, the biggest finger being pointed at man. 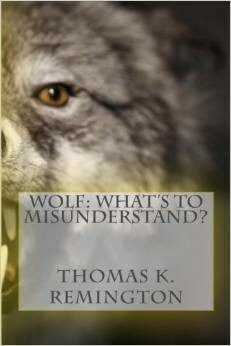 We have been taught that the wolf is “misunderstood” and needs protecting. With wolves growing at a rate of as high as 30% a year in some places and no indications that wolves will be removed from protection anytime soon, should that day come, we may need at our disposal more methods of hunting wolves other than one man and one rifle, lest we be forced into mass killings. Using Russia as an example, there appeared to never be any consistency in wolf population control measures. Efforts would go out to reduce wolves in some areas and then left alone only to allow the regrowth of wolves to overgrown numbers again. When culling was needed, maybe that is what triggered the creation of ways to mass kill wolves. Better management might have prohibited this kind of action. In future parts, I will examine other methods used in the U.S., France and Scandinavia.